My bet is that if you ask anyone on the street to describe the term “entrepreneur,” they will tell you that it is someone who starts a business. If you ask them to describe some characteristics of an entrepreneur, they will throw out terms like “visionary,” “leader,” and, possibly, “hero;” they will describe an entrepreneur as a risk-taker, aggressive, influential, creative, opportunistic — someone with a big personality. This depiction is only partially correct. All of us are entrepreneurs. We are all born with the innate ability to survive; and survival involves innovative thinking. Think about your life. Think about the times you needed to make a decision –- a choice –- that involved doing something innovative (something you were not accustomed to doing) so that you could “move on” or adapt to a challenging situation. In our normal course of daily living, we are faced with choices. Granted, some of these choices are more significant than others. And these are the choices that I am addressing; the choices that are out of the norm; the situations that afford us a real opportunity to change our lifestyle — our life — and adapt or destroy our normal way of approaching whatever life throws at us. When we choose to embark on a path not chartered, we are engaging in a “small act of entrepreneurship.” Being entrepreneurial is essentially about thinking and doing something that we have not done before, in order to achieve a desirable goal or outcome. It is about assessing a situation, designing alternatives, and choosing a new way — or perhaps a combination of ways — that we hope will lead us to something better; however we happen to define “better” at that moment. Hopefully, we make our choices in the context of maximizing our happiness without harming others – the ethics that underlie all of our choices. We are selling ourselves short if we do not define ourselves as entrepreneurs -– if we choose to accept that “entrepreneurs” are the “other” people who take a chance, who think and act differently when challenges arise. I bet that throughout the course of the year, you make “entrepreneurial choices.” It may not be manifested as developing the latest app, the coolest new service, the next great business model. My bet is that your small act of entrepreneurship is manifested as the choice you make to alter your life; to go through the pain of detaching yourself from what you usually do and attempt a new course of action; the pain of choosing to be resilient in the face of adversity; the gut wisdom of taking a risk because you know that you just can’t do “more of the same.” Maybe it is starting a company; maybe it is presenting a new idea to your boss; maybe it is choosing to pursue a degree; maybe it is physically moving to another location…the choices are endless and we face them throughout our lives. When we think innovatively and act on that innovation, we are entrepreneurs. 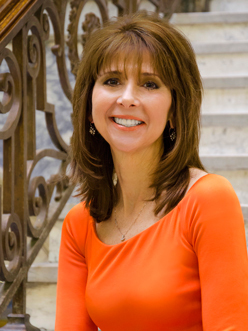 Donna M. De Carolis, Ph.D, is the founding dean of the Charles D. Close School of Entrepreneurship at Drexel University. The Close School is one of a small number of freestanding schools of entrepreneurship in the U.S. and the only one in the Philadelphia region. The opinion piece appeared on Forbes.com on Jan. 9, 2014 and is available at this link.